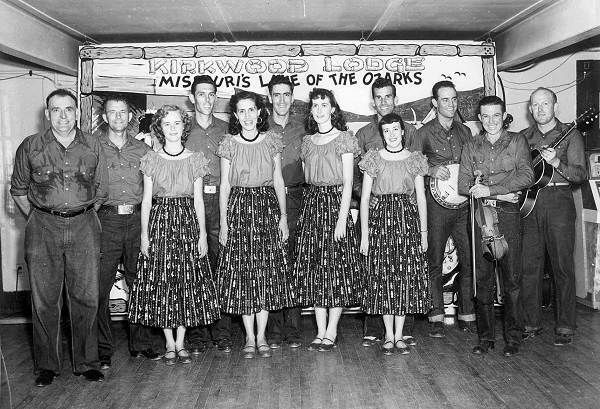 Photograph of the square dance team, caller, and musicians. Click here to see a video clip of this exciting dance group in action, performing on the Ted Mack Amateur Hour. 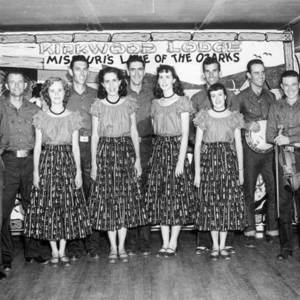 “Lake of the Ozarks (photo),” Square Dance History Project, accessed April 25, 2019, http://squaredancehistory.org/items/show/371.